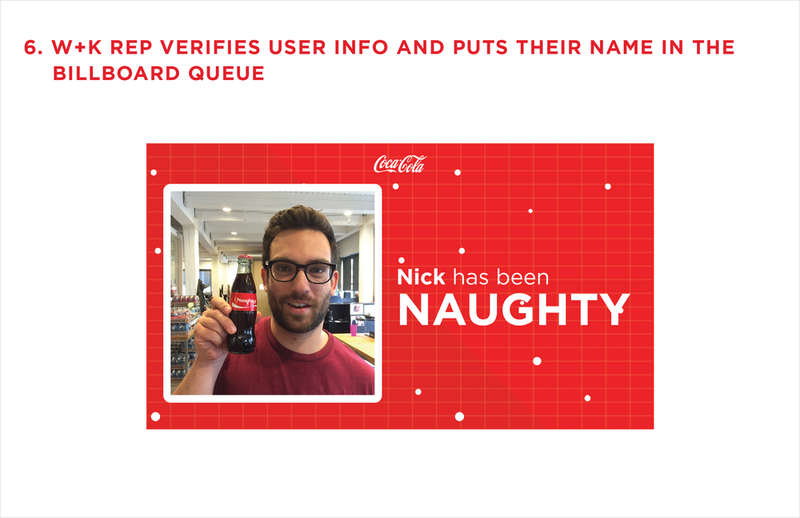 During the holidays, Wieden+Kennedy teamed up with Coca-Cola to produce a tool to help Santa better assess if a person had been naughty or nice. The tool was a Facebook app that collected a user’s data and sifted through it to look for things like the use of certain hashtags, number of selfies uploaded, any “naughty” language that was used, etc. The criteria fell into a 5 categories: friendship, manners, over sharing, wholesomeness, and responsibility. Based on data from a user survey, we developed thresholds for what would be determined as naughty or nice for each data point. For example, if someone was consistently posting after midnight, that would be considered naughty. 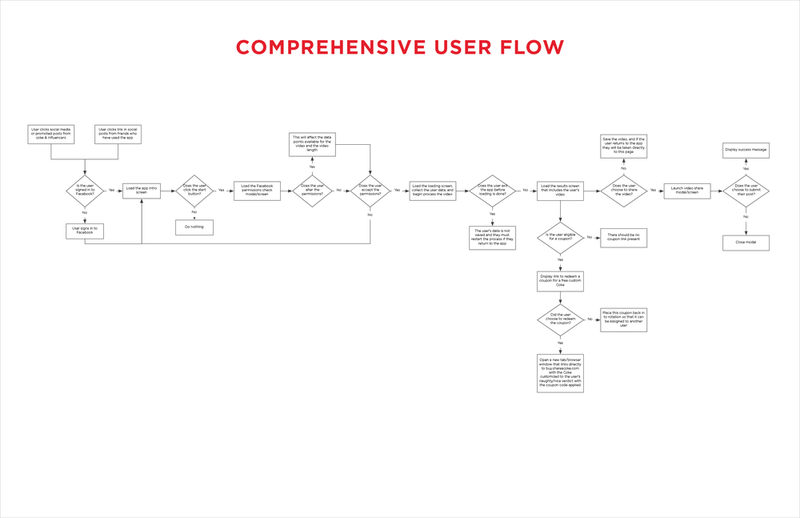 The tool would count up the naughty and nice points of data and give the user a verdict of their behavior on Facebook during 2015. 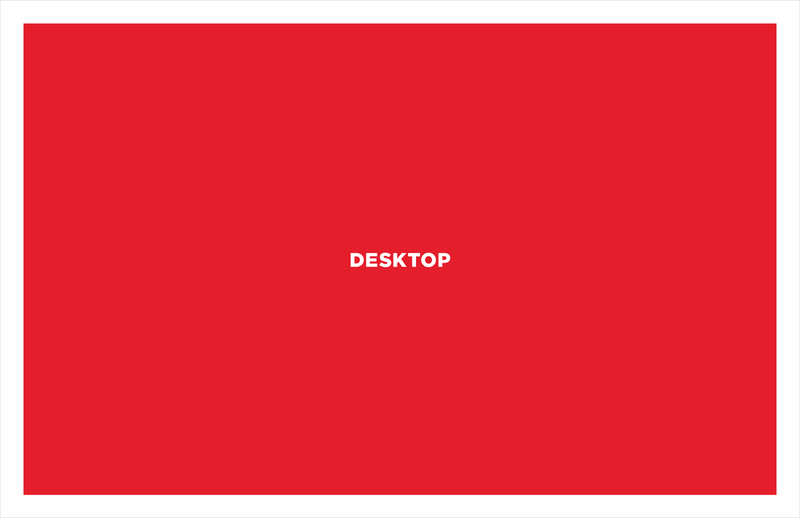 The end result for the user would be a video that included a highlight reel of some of the data points that they could share on their wall. 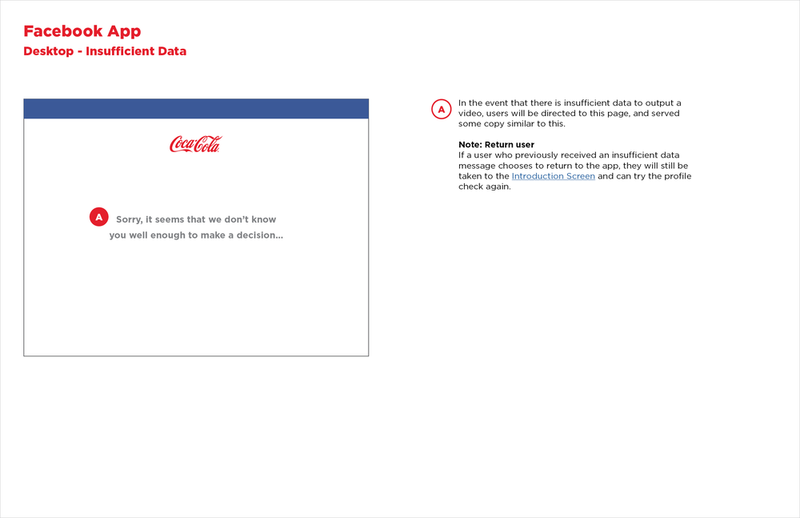 This project had 3 different executions of the same experience for the user: the desktop version of the Facebook app, the mobile version of the Facebook app, and a stunt using one of Coca-Cola’s digital vending machines. 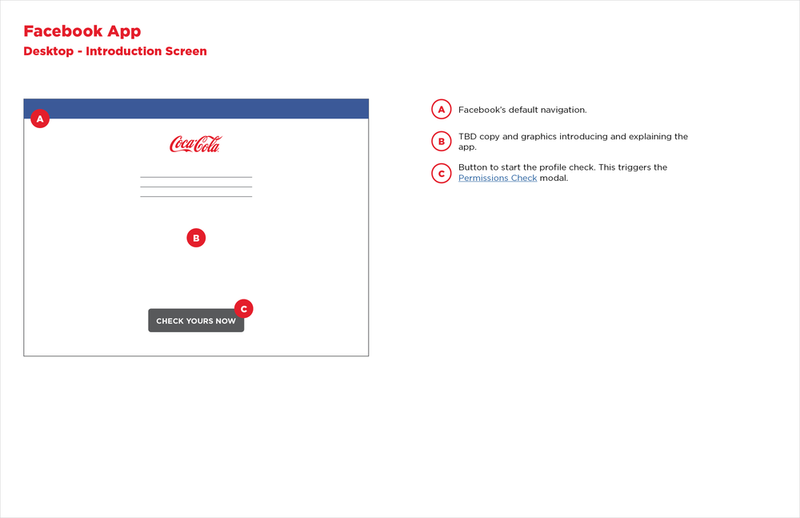 In the documentation that was provided to Coke’s IT team, I created wireframes and flows with annotations that detailed animations, transitions, error states, and conditions for both the app (mobile and desktop) and the digital vending machine experience. 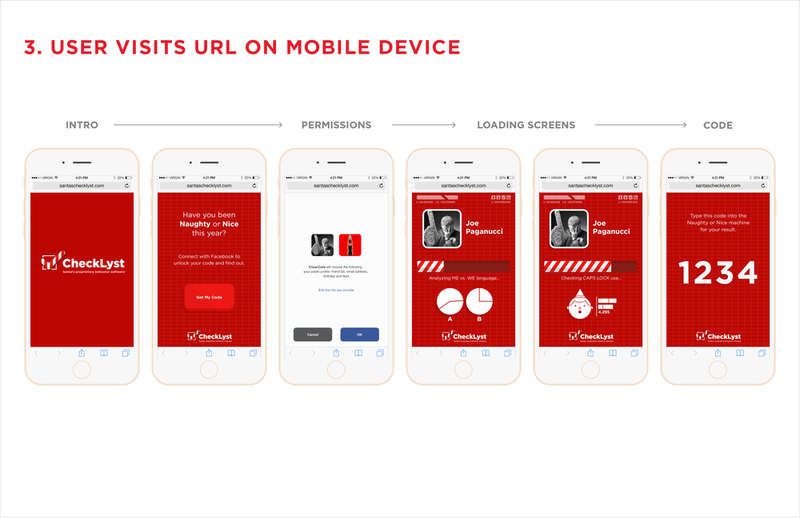 Coca-Cola was so excited about the idea of the app that they wanted to do a stunt using a physical Coke machine that could vend a bottle with the user’s naughty or nice verdict in addition to delivering the results video. We created a version of the app that users could interact with on the digital vending machine, and showed it off in early December at The Grove in LA.